Southern California Edison, however, is questioning the conclusion of the Thomas Fire investigation, arguing that its equipment may not have been responsible for one of the blaze’s two ignition points. The utility is also accusing fire investigators of not considering related evidence. The Thomas Fire started on Dec. 4, 2017 near Santa Paula and burned for 40 days, sweeping into Santa Barbara County after threatening several cities and communities in Ventura County. The blaze burned a total of 281,893 acres and destroyed 1,063 structures. One firefighter died while battling the Thomas Fire, and one woman died in a car accident while reportedly fleeing the blaze. Subsequently, 21 people died in the Jan. 2018 mud flows in the Montecito area, where large amounts of vegetation had been uprooted by the Thomas Fire. On Wednesday, the Ventura County Fire Department announced investigators had determined the cause of the Thomas Fire, which was power lines coming in contact with one another during high winds, also known as a “line slap.” Fire officials said in a news release that high winds caused the power lines to come into contact with each other, creating an electrical arc. The electrical arc deposited hot, burning or molten material onto the ground in a receptive fuel bed, which caused the fire, the news release states. 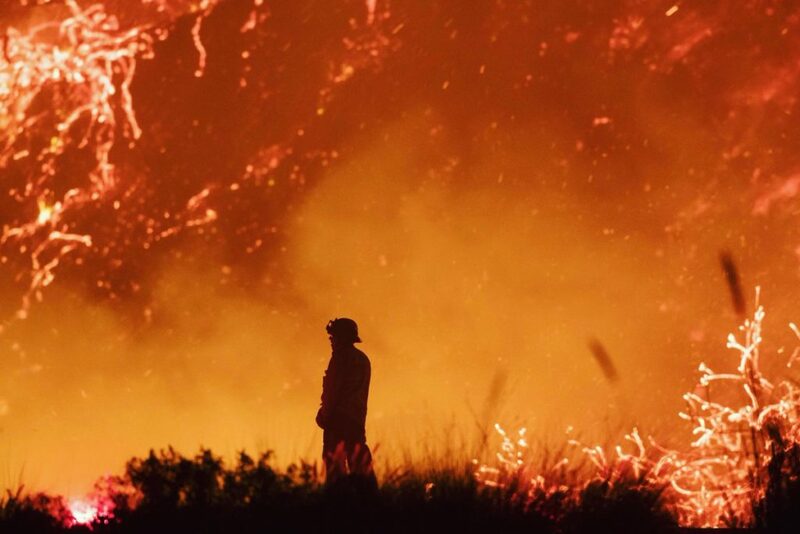 The Thomas Fire began as two separate blazes that ignited about 15 minutes apart and then united. Previously, Southern California Edison acknowledged its equipment may have started one of the Thomas Fire ignition points. But in a statement released Wednesday, Edison argued its equipment may not have been involved in the other ignition point. Edison said in the statement that one ignition point occurred in the Analauf Canyon area and the other near Koenigstein Road. The utility questions fire investigators’ conclusion that its equipment caused the Analauf Canyon ignition. The utility also said in its statement that is not aware of any basis for criminal liability. Edison is already faced with lawsuits over the Thomas Fire. It is unclear how large of a liability the utility could face. Meanwhile, PG&E believes it is probable the company’s equipment will be found to be the source of the 2018 Camp Fire, the deadliest and most destructive blaze in state history. PG&E made the admission late last month in a government filing, just 30 days after filing for Chapter 11 bankruptcy. Investigators have already found PG&E responsible for starting other Northern California wildfires. As the company restructures, PG&E is faced with billions of dollars in liabilities for its involvement in wildfires, and the utility could face murder charges if found responsible for starting the Camp Fire.